Miracle Method ranked in Entrepreneur’s Franchise 500 for 10 consecutive years! Every year, Entrepreneur Magazine publishes its annual ranking of franchise brands based on financial and statistical data. 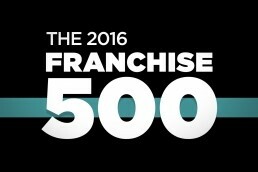 Using this information, Entrepreneur recognizes the Top 500 Franchise opportunities in the US and Canada. It is estimated that there are somewhere between 3,000-5,000 franchise brands, so it is quite impressive to be included in the ranking – viewed by most in the industry as the best of franchised brands. 2016 marks 10 consecutive years of Miracle Method being included in the ranking. 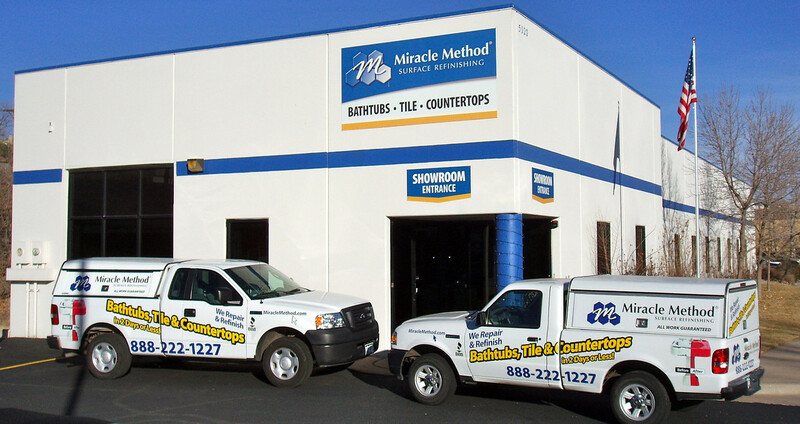 As the leader in the refinishing industry, Miracle Method boasts the largest national footprint and growing. For a relatively small investment, $85- $125,000- the Miracle Method model is easily scalable with strong revenue diversity from both residential and commercial markets. Miracle Method has also been the recipient of consecutive awards for franchisee satisfaction from the Franchise Business Review (FBR). Not only does a Miracle Method franchise present a great opportunity for entrepreneurs, but the ongoing support ranks high among existing franchise owners. Miracle Method has an aggressive growth plan in 2016 looking to add at least 15 franchisees in target markets such as Florida, Texas and Arizona with additional territories available throughout the country. anchisees can gross over $1,000,000 each year! 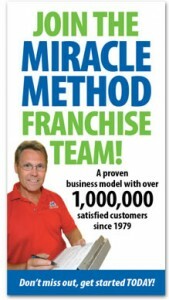 To find out more about owning a Miracle Method franchise, visit www.miraclemethod.com/franchise. We will provide 20 full days of training and help you create a marketing plan with all of the tools you need to promote your business on a local level as well as national advertising. Miracle Method provides the stepping stones for those trying to create a successful franchise. There are a large number of benefits to starting a franchise versus opening a start-up business. Miracle Method has built a reputation for high quality products and services, which has led to the continued growth and success of their many franchise owners. 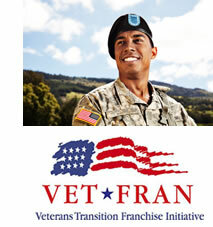 The success of their franchises is also in part due to the support that they receive. 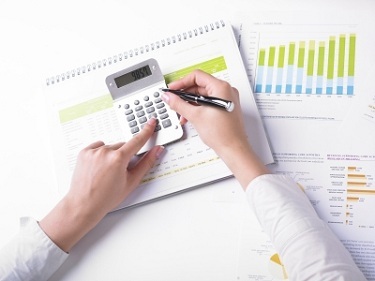 Minimized Risk: A reputable franchise offers a proven business model. Name Recognition: A recognized brand name brings you customers who will feel more confident with a national franchise vs. an independent that doesn’t have national support or accountability. Training: A franchisor provides a regimented training program to teach a franchisee about its services and business operations even if a franchisee has no prior experience. Support: A franchisor provides a broad range of operational and managerial support for its franchisees. Advertising: Professionally designed ad campaigns promote your business locally and nationally. As a Miracle Method franchise owner, you’ll receive all the training you need as well as support whenever you need it. Contact Miracle Method at 800-444-8827 to get started today on the path to success. If you’re looking to start a franchise, then choosing Miracle Method is the first step towards achieving success. Miracle Method has built a stellar reputation for not only providing a high quality product and service, but for its successful franchising as well. How long will it take to get started? 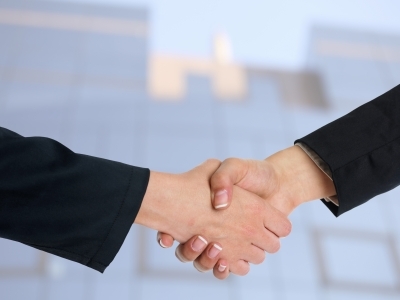 – Once you sign a franchising agreement, expect to open for business between 45 and 60 days. You will be provided with in-depth training, marketing and advertising plans, and on-going support to ensure your success. What kind of support will we provide? – You will be given technical, marketing & advertising, national account and administrative support to generate business and reach your goals. What kind of training will we provide? – You will receive 5 days of online business management training, 2 weeks of hands-on technical training and five days of marketing, advertising, administrative and sales training. The training will prepare you for how to make a sale, how to follow up, how to market and advertise your franchise and how to use scheduling and accounting software. To “Get Started“, visit our website at MiracleMethod/franchise.com or give us a call at 800-444-8827. Owning a Miracle Method franchise puts you in the drivers seat of your company. If you are researching opportunities to start a business, then you should strongly consider owning a Miracle Method franchise. The following are just a few of the benefits that you will find when owning a Miracle Method franchise. A History of Success – Miracle Method has established itself as the recognized dominate leader in the refinishing industry. With limited competition and a proven business model, it’s many franchises have all grown over the years establishing a 35 year track record for success. Low Initial Investment – with a franchise fee of $35,000 and total initial investment of $80K – $120K, most Miracle Method owners experience a solid Return on Investment (ROI). With no hidden fees or service support charges, Miracle Method is committed to providing on-going training and support to ensure franchisee success. 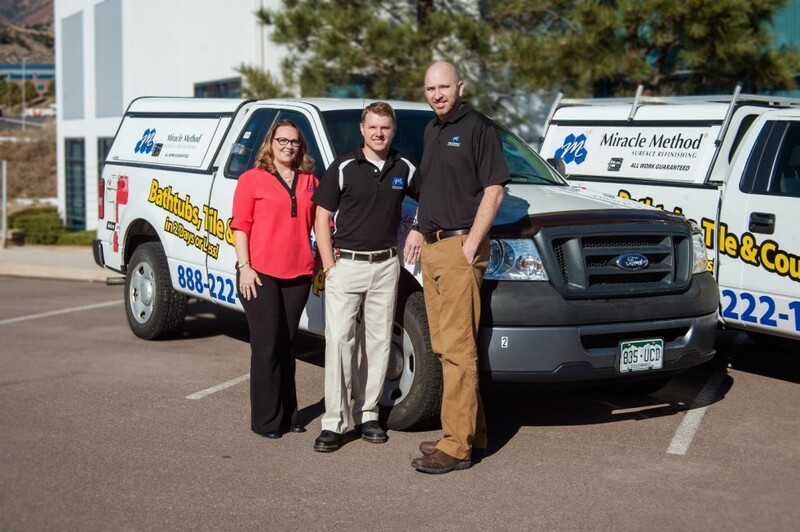 Recognized Industry Leader – Miracle Method is at the forefront of the refinishing industry because of their strong brand name, which they have built through their high quality products and services. By starting a franchise with Miracle Method, you’ll immediately have an sizeable advantage as the recognized industry leader. Superior Support – Miracle Method does what it can in order to ensure the success of their franchises by providing thorough training to all of its franchise owners, as well as assistance with marketing, advertising, and lead generation – not to mention ongoing operational support. Reduced Risk – With a proven business model, buying a Miracle Method franchise eliminates many of the risks associated with starting a new business. Find out more about our franchising opportunities by contacting us online at Miracle Method today. If you consider yourself an entrepreneur, then odds are you’re dreaming about running your own business. One of the best ways to do this is by starting a franchise; however, figuring out what franchise would be the most successful and the most beneficial for you can be a difficult task. This is why you should consider Miracle Method. Miracle Method takes great care in making sure its franchise owners have everything they need in order to succeed – and if past successes are any indication, then odds are you will! Miracle Method will help you become an expert in refinishing bathrooms and kitchens. While we will train you to know everything about our process and services, your job is to manage the development and growth of your business. No matter what, we will be there to celebrate your success and walk with you through the challenges. The Miracle Method system will help you to obtain the sales training you need as well as to teach you how to hire and train your own employees and to profitably grow your business. Contact us at Miracle Method today to learn more about this opportunity and what you need to get started as your own boss.